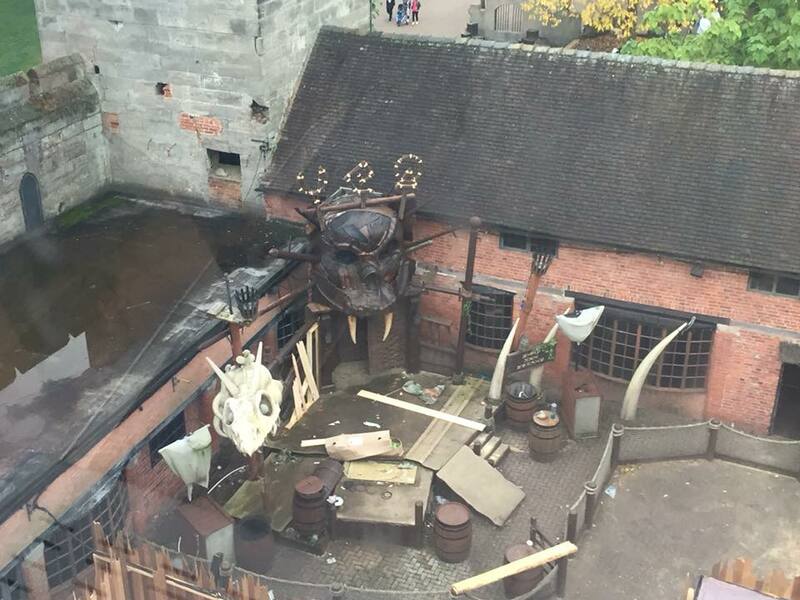 In March 2016 Alton Towers gave the first indication that the next Secret Weapon would be built on the former site of The Flume, with large posters announcing a "Ground Breaking" new ride across Mutiny Bay. Join us here at TowersStreet as we follow the development of SW8 from planning application through to when it opens in 2018. What is a Secret Weapon? Changes to the area include a new games unit and food kiosk, while the former Mexican Cantina and Flume photo booth will be demolished. Buildings are expected to have thatched effect roof tiles and weathered timber effects, many being single storey. The plans indicate separate onload and offload areas along with a manned baggage store such as those featured on Th13teen and The Smiler. What else do the plans say? 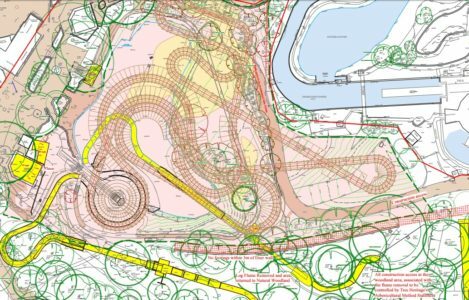 A more in-depth look at the plans shows us track elevations, air time hills and the locations we can expect to see theming elements. The plans don't tell us exactly how high the lift hill will be, instead indicating the ride's high and low points in comparison to sea level. 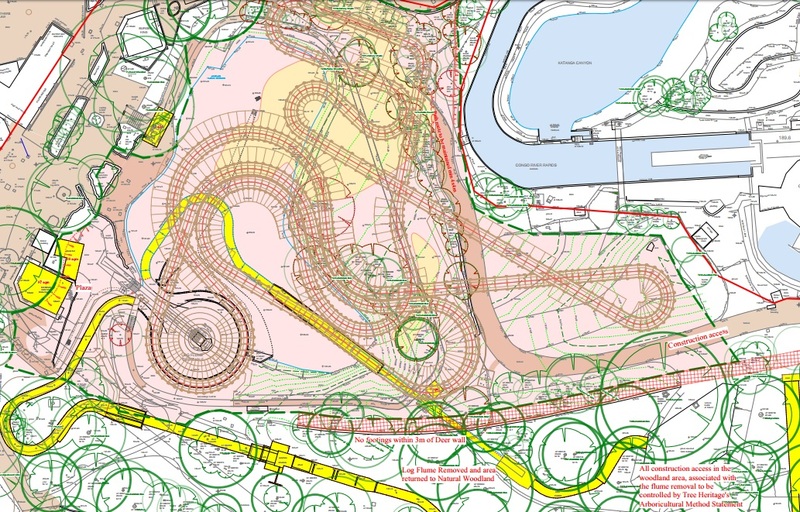 As with all plans released, fans of the park will develop theories and speculation based on both what the documents say, and also hopes for the final product. 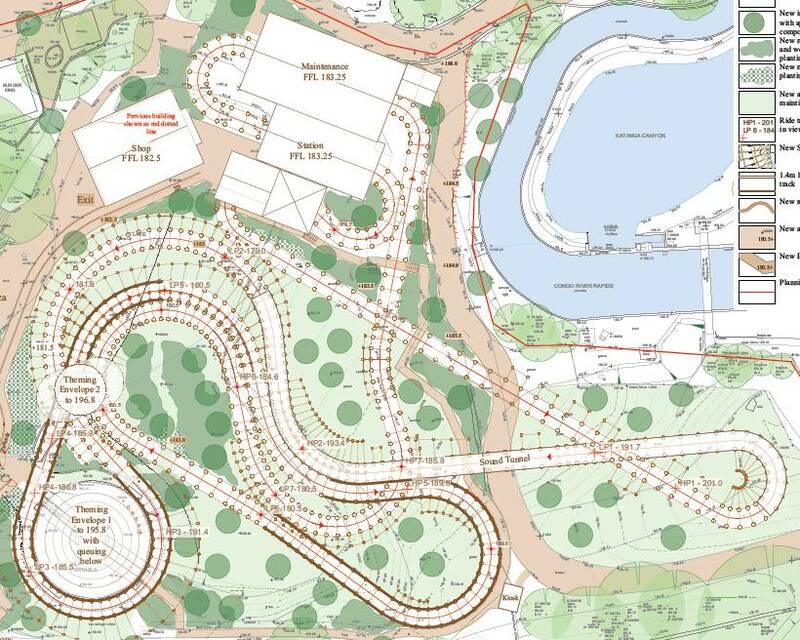 Current speculation for SW8 involves inversions, a short dark ride section, and a launched lift hill. Remember, there's no confirmation of these points yet! (Referencing the May 2016 plans) Dark ride sections have appeared on a number of coasters around the world, for example Blue Fire at Europa Park and also the wooden coaster Mammut at Tripsdrill. 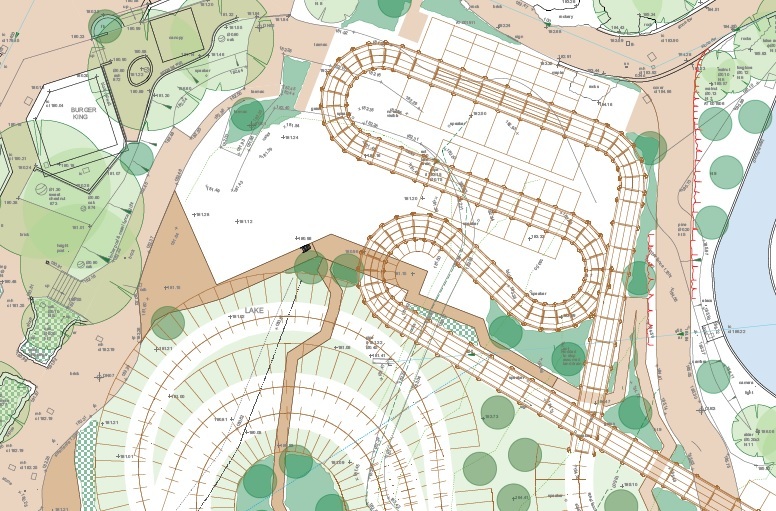 The May 2016 plans contained a large station/maintenance building and the track layout within the building shows a few turns which could accommodate a short on-ride show. 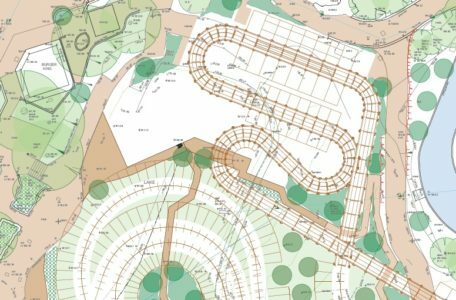 With the latest August 2016 revised plans, sections of the track are now outdoors and it is therefore unlikely we will see a dark ride section. But we do know know that guests can expect a lengthy pre-show and have seen evidence of theming around the rest of the ride, including a giant theming element on the site of the Flume's old station. 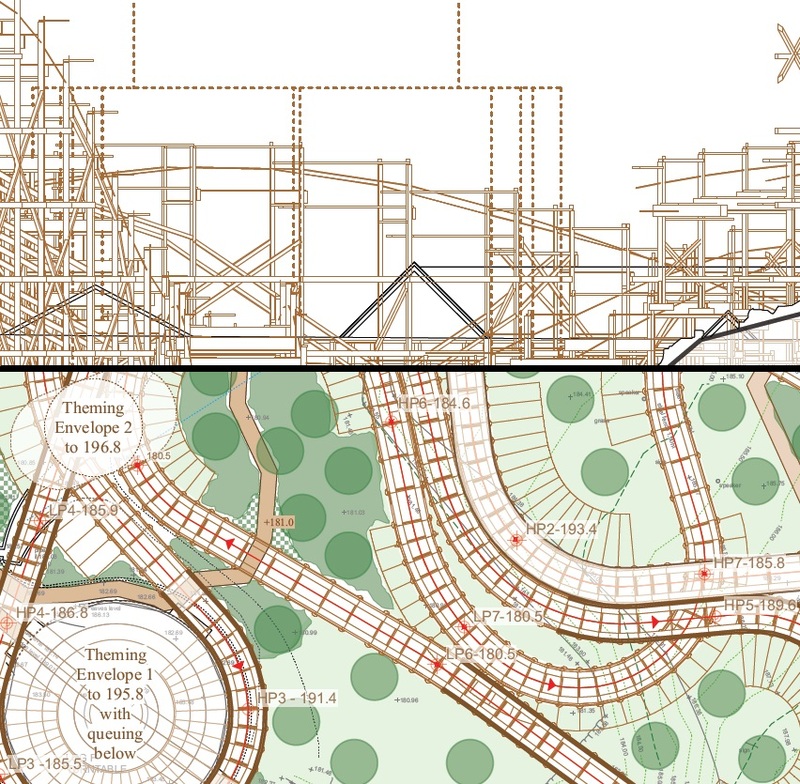 Speculation began when the plans appeared to show possible inverted track, with a support structure similar to inverting wooden rollercoasters currently in operation. As construction started during the 2017 season however and the plans were translated into real life it soon became clear that the coaster would not include inversions. Although not confirmed to be a launch, the plans do confirm that SW8 will feature a silent magnetic lift. Magnetic LSM launches are used across the world on a variety of rollercoasters to produce a launch, for example on the wooden coaster Lightning Rod at Dollywood. Whether the magnetic lift will be fast enough to constitute a launch, it is not yet known. But what will the theme be? While early banners for SW8 used familiar Mutiny Bay branding, as construction got under way in 2017 this was swapped out for new teasers that focused on the wooden element of the ride. Much of the theme speculation centred around a trademark application for Wicker Man, which was rumoured to be related to the new coaster. 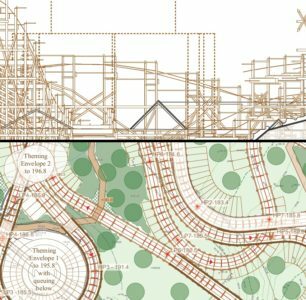 Adding fuel to the speculation, the 2017 park map listed SW8 as belonging to Gloomy Wood, which backs the ride receiving a more horror based theme. As of January 2018 teh park finally confirmed the ride's name as Wicker Man, promising an imersive experience fusing fire into their new wooden coaster. Demolition of The Flume took place during the closed season at the end of 2016 and by January 2017 groundwork had begun on the groundwork for the new coaster. By the start of the 2017 season work had begun on the foundations and the first wood was spotted on site on during May. 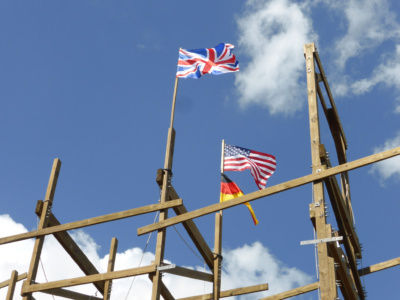 From there construction progressed quickly and the lift hill topped out with a flag ceremony on 7th July 2017. Work has continued to progress quickly throughout the site over summer, in August focus shifted to the giant themeing element being built inside a tarpaulin clad tower, roughly on the site of the old Flume station. At the same time Alton Towers Marketing machine kicked into action with mysterious symbols appearing around the site and on the attractions marketing. The park first revealed that The Flume's site would be home to the next Secret Weapon during the 2016 season when the fences surrounding the defunct ride received a series of announcement banners using the familiar Mutiny Bay branding. However at the dawn of the 2017 season the ride started to be distanced from its pirate neighbours with advertising which focused much more heavily on the coaster's wooden elements. Indeed the season's park map labelled the new development as being part of Gloomy Wood. 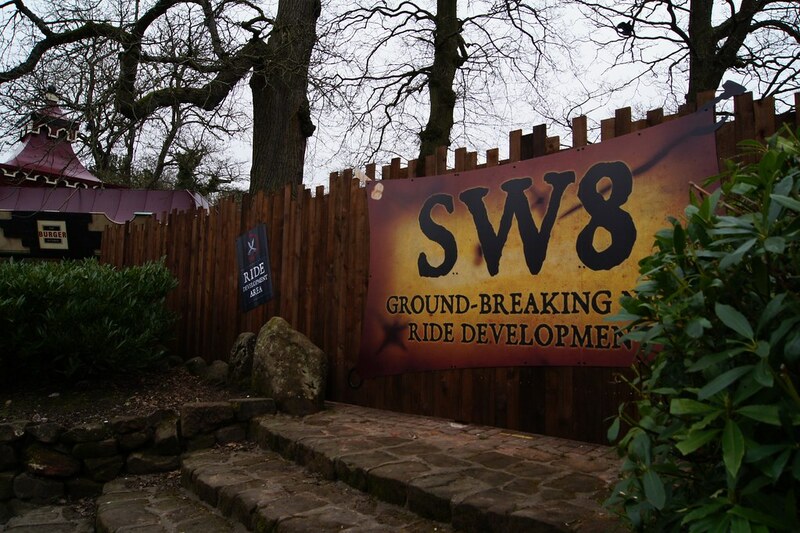 Marketing for SW8 kicked into full steam during August 2017 as strange carvings began to appear in the fencing around the ride. It soon became apparent that three of the symbols represented SW8, whilst another mysterious phrase was deciphered as 'Be Chosen'. The on-site decals were accompanied by a new page on the Alton Towers site that started to unveil the story surrounding the ride. 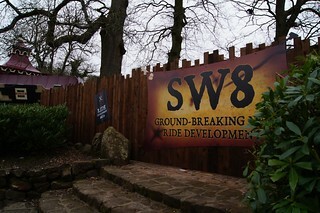 The updates to the Alton Towers site also saw two new videos unveiled, one of which focused on the history of the Secret Weapon ride programme whilst the second was a teaser about SW8. The teaser video revealed more of the mysterious runes that are central to the new ride's marketing, leading to enthusiasts across the country to start work on creating their very own SW8 rune alphabet. 'Be Chosen' is also the tag line for the new Scarefest maze in 2017, which will take place in the Mutiny Bay Courtyard across the way from SW8. 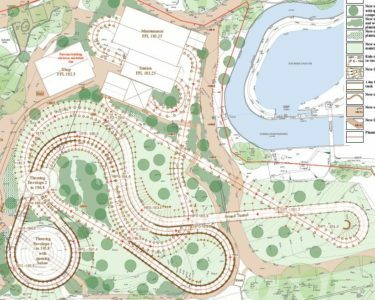 The Welcoming - Be Chosen will focus on the back story of the coaster, echoing a similar link between The Sanctuary and The Smiler during the SW7 development. The maze focuses on a mysterious group of wood dwellers that shun technology and come together at Halloween to celebrate in their own unique manner and is sure to give us a taste of what we can expect from the coaster's theme. In early October the park unveiled the logo for the ride, which matched up with the 'Graphic Representation' that accompanied the trademark application for Wicker Man that fuelled so much speculation over the summer. It was not until January however that the park confirmed the name, when the promotional artwork for the new ride was released, including elements produced by artist Kyle Lambert. In the early 90's when Alton Towers was taken over by the Tussauds Group, John Wardley was tasked with designing a major roller coaster to help in the process of transforming the park from a collection of fairground rides in the woods, to a modern theme park. His initial designs involved the use of a prototype roller coaster from Arrow Dynamics (who also built the Big One at Blackpool and Vampire at Chessington World of Adventures). The prototype roller coaster looked a bit like a missile so the theme was pitched around a "Secret Weapon". John Wardley made two different designs for this ride, labelled SW1 and SW2. Eventually it was decided the ride wasn't what the park wanted and instead they worked with B&M to create Nemesis, and although the theme for this ride changed, the project was still titled a secret weapon and became SW3. Since then every major roller coaster with the exception of Spinball Whizzer and Rita have been labeled "SW" during the design and construction phase until the name is chosen and announced. The next major roller coaster installation will be SW8! What are the existing Secret Weapons?